As is, recently bought. I haven't tried to clean it up yet. Runs, will time for accuracy. 19k rolled gold. Fine bracelet, no markings. Case marked American Standard, sorry, had a closer look. Looks very similar to #158 in the 1922 ads... (back to hunting). Ad snippet from 1922 for model # 158. I thought there was another ad for this model on site which showed an 18k gold filled case in this time period. QuothWinter- Am I seeing a triangle near the very top of the movement pic? Not seeing the asterisk? 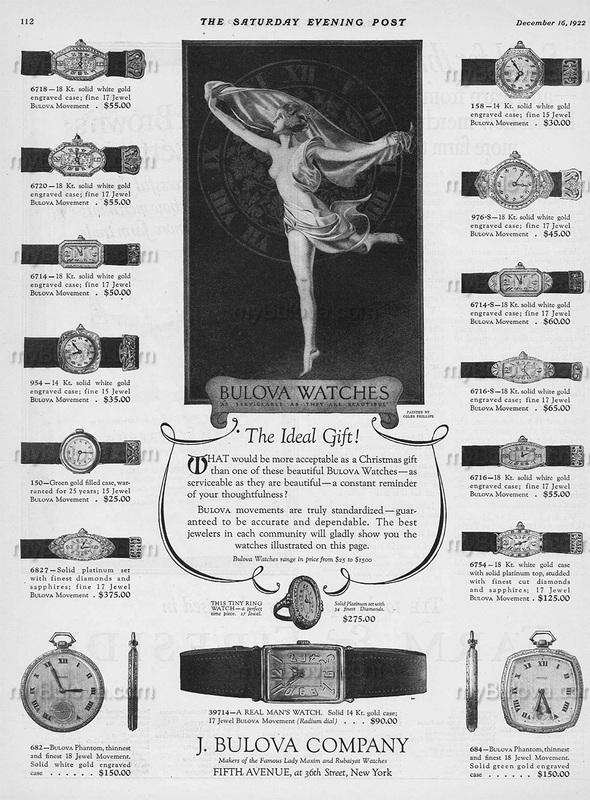 Dec. 1922 ad showing what I think is a 158 with regular price $35 and sale price $22.45? 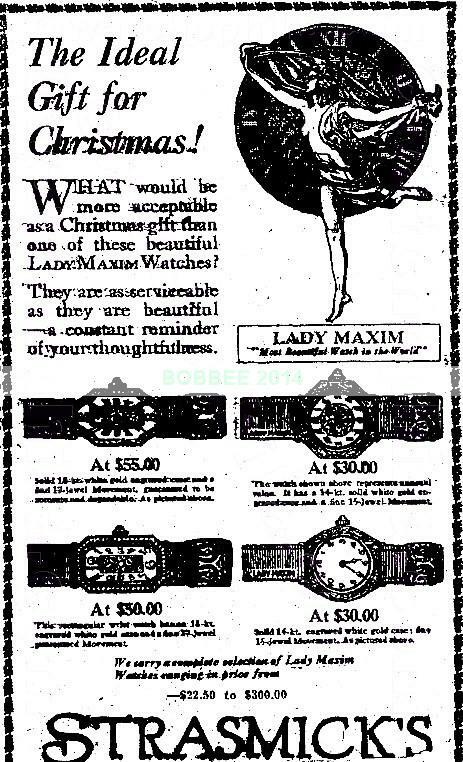 And another 1922 ad snippet showing similar watch as Lady Maxim. Click on graphic for full ad. QuothWinter, what is printed on the dial? Under magnification, it doesn't look like "Bulova"? Thanks Fifth. I see asterisk and also think I see a non-bulova dial?